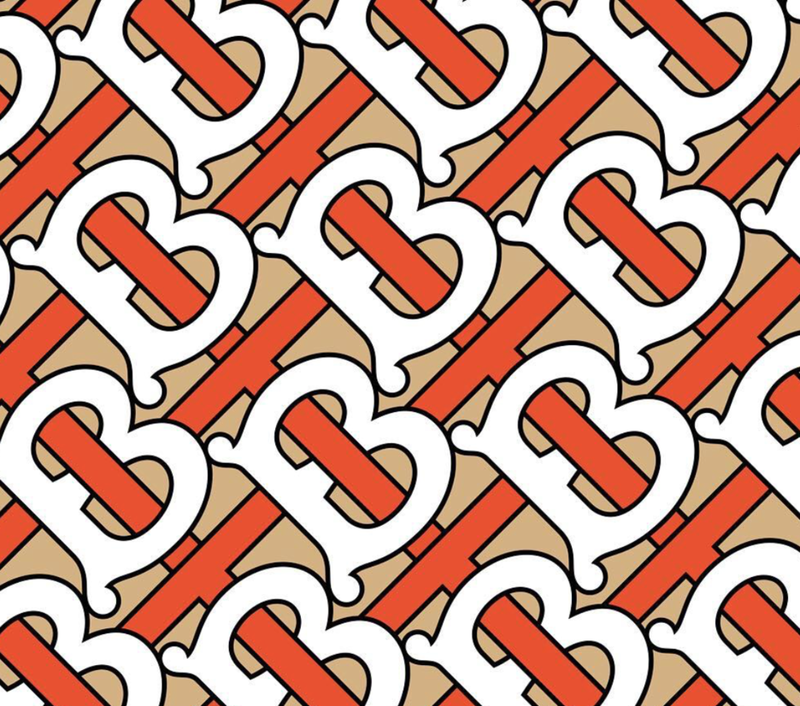 Making his first major move as creative director at Burberry, Riccardo Tisci has unveiled a new logo and monogram for the British heritage brand. The redesign comes ahead of Tisci's first runway show for Burberry this September during London Fashion Week. The new creative director introduced a new look for the fashion house. The new logo features a sleek and streamlined bold sans-serif text in all caps. Its new monogram, however, is an an interlocking 'TB' pattern—after the house's founder, Thomas Burberry—done in a red, honey-beige, and white color scheme. Both were designed in collaboration with Peter Saville, the graphic designer who also redesigned Calvin Klein's new logo under Raf Simons last year.